Looking at the Mediacom approved modems, you have a few good choices. 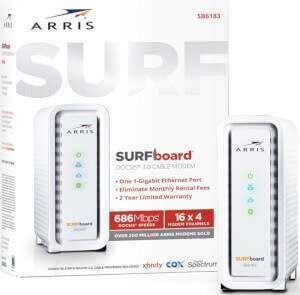 Highly regarded modems like the NETGEAR CM1000 and the ARRIS SURFboard SB6183 should be considered for purchase. Click here to jump to the full Mediacom approved modem list. What 3.1 modems does mediacom support? Why do I need to rent 3.1 modem from you and have you install? Upload speeds with mediacom are very slow. First of all, Mediacom does not operate this site. You will need to contact them for support issues (side note, you do not need to rent a modem – buy your own modem to save money). ApprovedModemList.com is a site that pulls information on certified modems for ISPs. The point of this website is to save people money on purchasing their own modems instead of renting, which is a big waste of dollars. As for the DOCSIS 3.1 modems Mediacom supports, please check the list below. 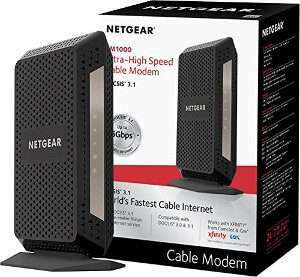 These modems are also indicated in the the list above with a * after the modem model #. Thanks for the question, Mike.